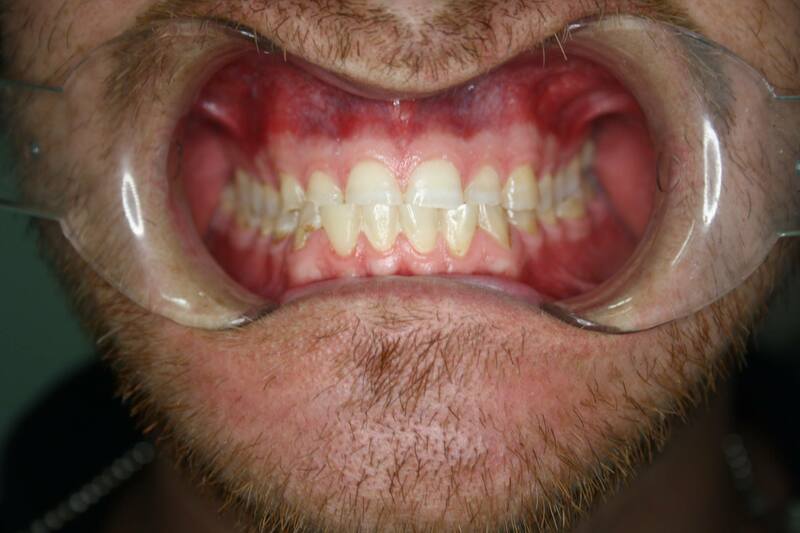 Patient does not like to show any upper teeth. 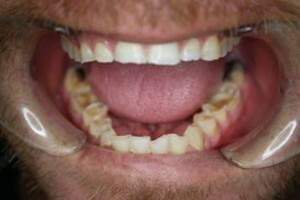 Broken down and missing teeth. 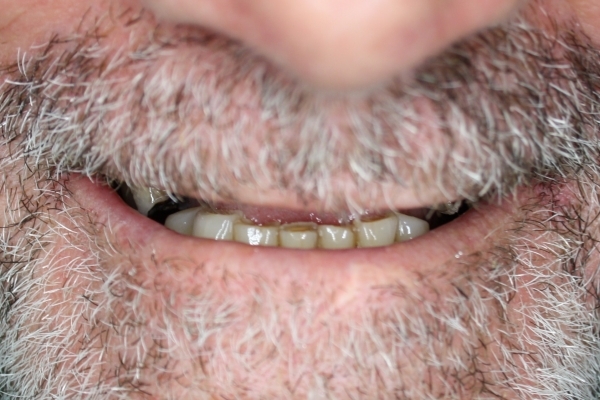 Snap on Smile. Look at the difference. 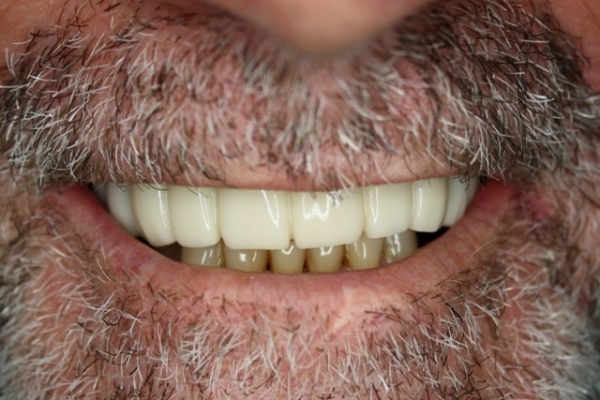 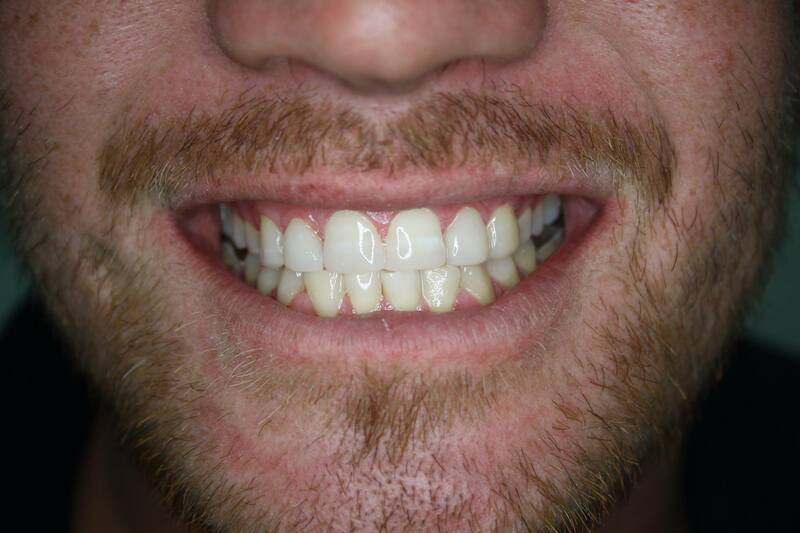 A Snap on Smile was chosen as this gentleman wanted a quick cosmetic fix for an important event. 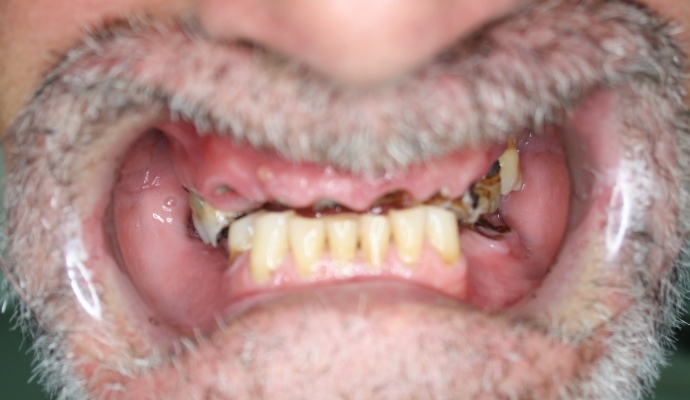 He had many broken down and missing teeth. 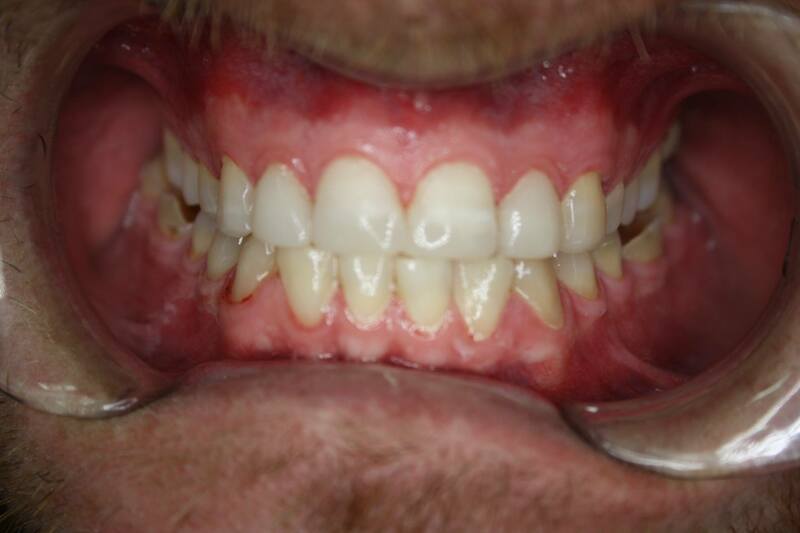 Our aim was to get our patient looking good for his event and then get him back later on to address his overall dental health. 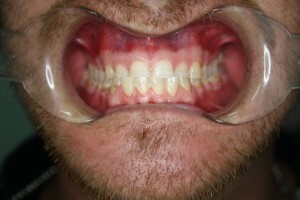 All front teeth are built up with composite resin. 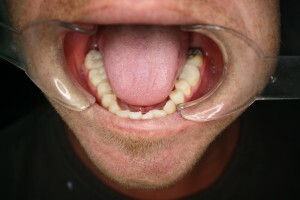 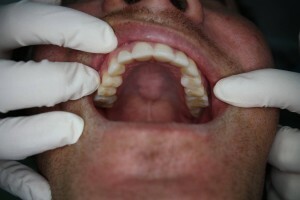 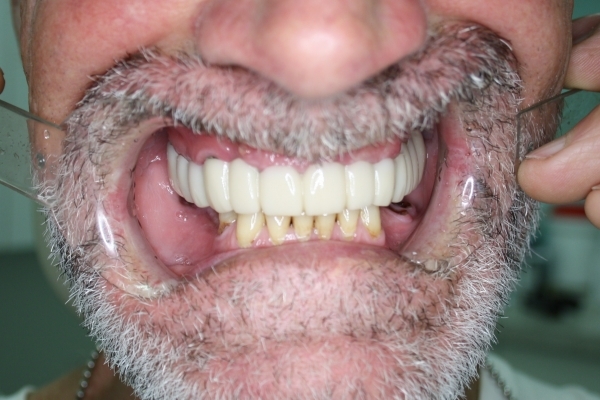 All upper teeth have been built up with composite resin. Lower teeth built up with composite resin.